Video showed a flight instructor making an emergency landing on a highway in California Friday morning. 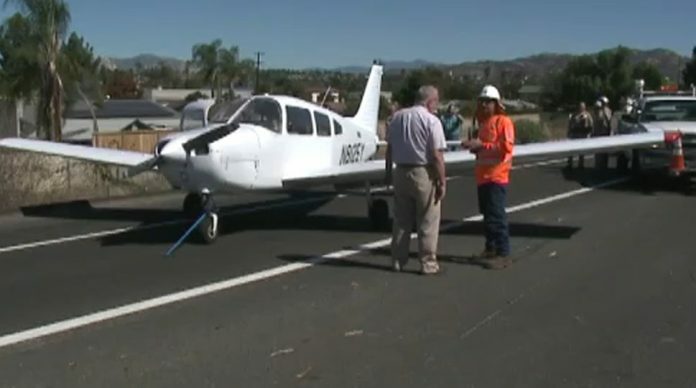 No one was hurt as the 25-year old flight instructor landed in El Cajon, east of San Diego. The teacher was training a 36-year-old student pilot when the engine suddenly failed. Luckily the instructor was able to avoid houses, power lines, and traffic while landing. Video taken by a motorist on the freeway shows the plane gliding down between cars and rolling along two lanes. The plane landed safely in the westbound lanes of Interstate 8. The pilot and student pushed the plane to the freeway shoulder to avoid blocking traffic.